The additional Mid/Side processing option allows a decent and smooth fine tuning of the stereo base you won't get from any other software or hardware. We refrained from names like "tape simulation" or "valve" for the processing unit. 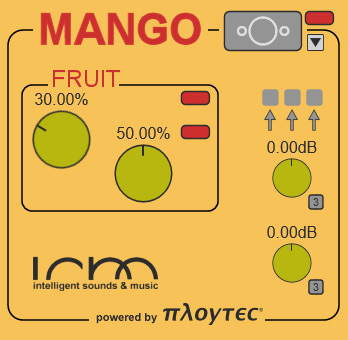 Though Mango's refinements are loosely related to such analog models - Mango's variety is far beyond. Fine-tune to add the perfect amount of ear candy to your sound. No guilt, no regrets.